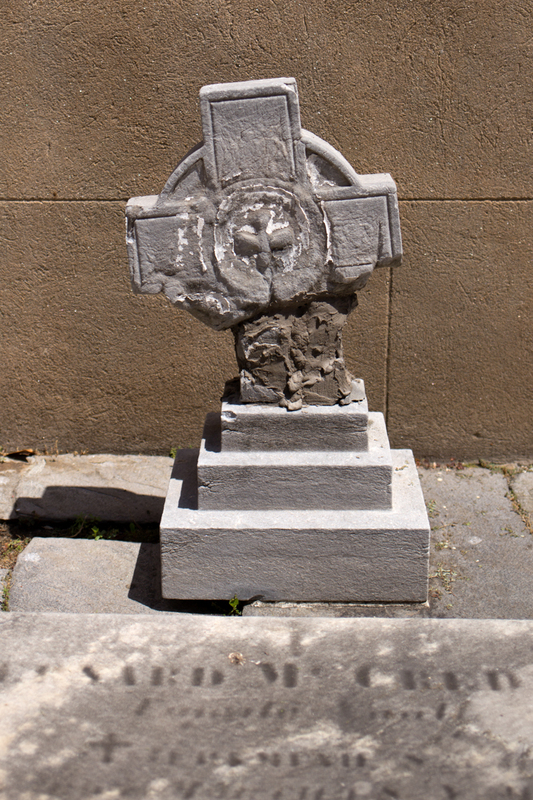 I had been to a few of the well-known cemeteries in Philadelphia—Christ Church Burial Ground and Mount Moriah—but it wasn't until my recent trip that I realized I should check out the Find A Grave app to see if there were any other little city churchyards I was missing. I had some time after my City Hall tour and before we had to catch our train, so I searched the app and headed to the closest cemetery, Old St. Mary's. I've been frustrated in Philly (and other cities) before when I trekked to a cemetery only to encounter a locked gate, but I'm always cautiously optimistic. At first it appeared as if I had struck out at St. Mary's, but I circled the block and found an open gate near the parking lot. Old St. Mary's Church was established in 1763, and in 1782 a parish school—the first in America to be connected to a Catholic church—opened and remains in operation today. It was the first Roman Catholic cathedral in Philadelphia and worshippers included George Washington, John Adams and several members of the Continental Congress (they officially attended services here four times from 1777 to 1781). The church also hosted the first public religious commemoration of the Declaration of Independence. 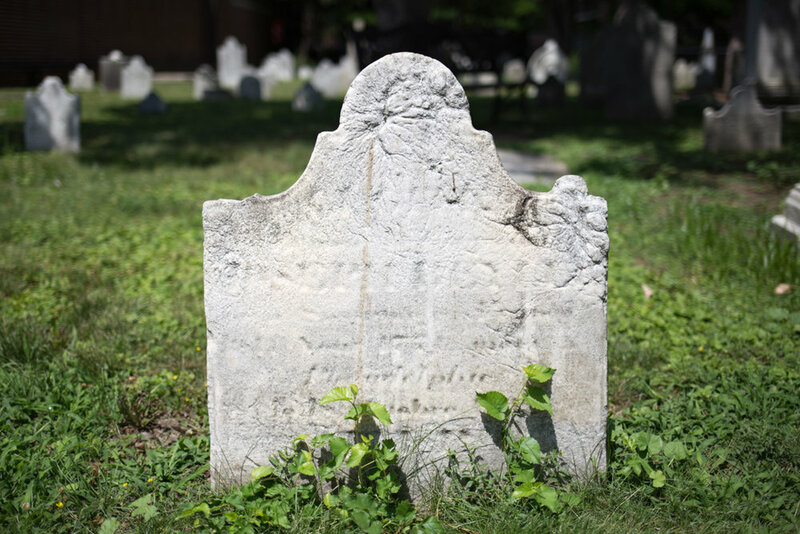 The cemetery was established in 1759 and the oldest legible tombstone belongs to Arthur Cample, who died on June 11, 1769. After the Yellow Fever Epidemic of 1793, the cemetery was enlarged by adding an extra layer of soil to the ground level. As a result of the epidemic, an orphanage was established for children that had been found wandering the streets. The Roman Catholic Society for Educating and Maintaining Poor Orphan Children (phew) was run by the Sisters of St. Joseph of Charity, who assisted the city during another epidemic (cholera) in 1832. At least one of these orphans and several Sisters are buried beneath a worn stone with the words "orphan asylum" still visible. Other notable burials include Thomas Fitzsimons, a deputy from Pennsylvania to the Continental Congress and signer of the Constitution; Anthony Quervelle, a cabinetmaker chosen by Andrew Jackson to design tables for the East Room of the White House; Jacqueline Kennedy Onassis's great-great-grandfather Michael Bouvier; Commodore John Barry, father of the American Navy; and the Honorable James Campbell, who, in his 81 years of life, managed to be the Judge of the Court of Common Pleas, Attorney General of Pennsylvania and Postmaster General of the United States.